It’s tough enough finding affordable calling to Sheffield, let alone affordable and unlimited¹ calling to Sheffield. You’re in luck, though. Vonage has a plan that can deliver it all. Vonage World® can make calling Sheffield from USA a breeze because there’s just a low monthly rate to deal with. Once you sign up, you’ll be able to call any landline in Sheffield or elsewhere in the UK for as long as you desire¹. 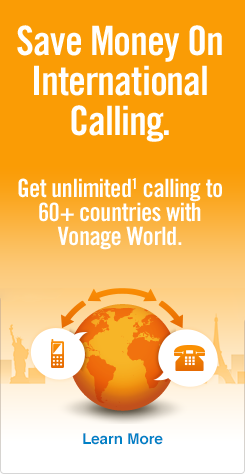 To reach mobiles, however, there will be a small per-minute rate added on, but the key word there is “small.” Just to sweeten the deal, Vonage World provides for unlimited¹ calling to landlines in more than 60 countries and mobiles in over 10 countries. Wondering how to best call the UK cheap? Wonder no more. Go to Vonage’s site today to enroll. Then, dial 114 — the Sheffield area code (landlines only*). Finish dialing with the local 7-digit Sheffield local phone number. *To call mobiles in Sheffield, you need to put in the US exit code first, followed by the UK country code. Lastly, dial “7” then the remainder of the 9-digit number. For more on UK dialing, click on our how to call the UK guide for further details as well as other city area codes. Hopefully we can clear that up for you as well as the cheapest way to call Sheffield. Once an important steel town, Sheffield has grown into a modern cosmopolitan metropolis of about a half million people. Home to the world’s first football organization and the largest theater complex outside of London, Sheffield has plenty to offer sports enthusiasts and theater goers alike. Plus, its exceedingly large selection of retail shops can keep almost anyone busy for as long as they can keep on their feet. Enjoy!